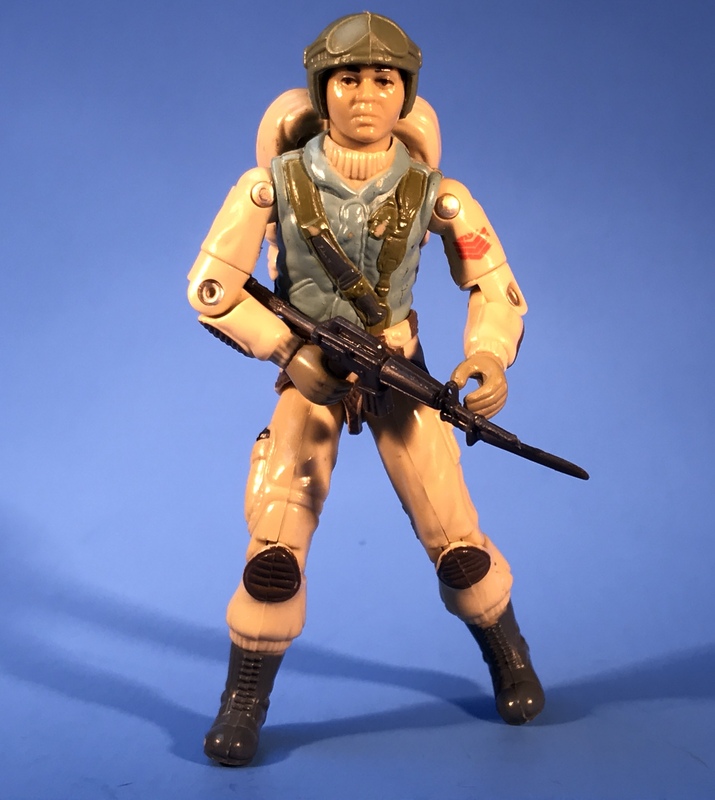 Posting the 25th anniversary Airborne last week got me to thinking about the original again, and how much I like the figure and character. 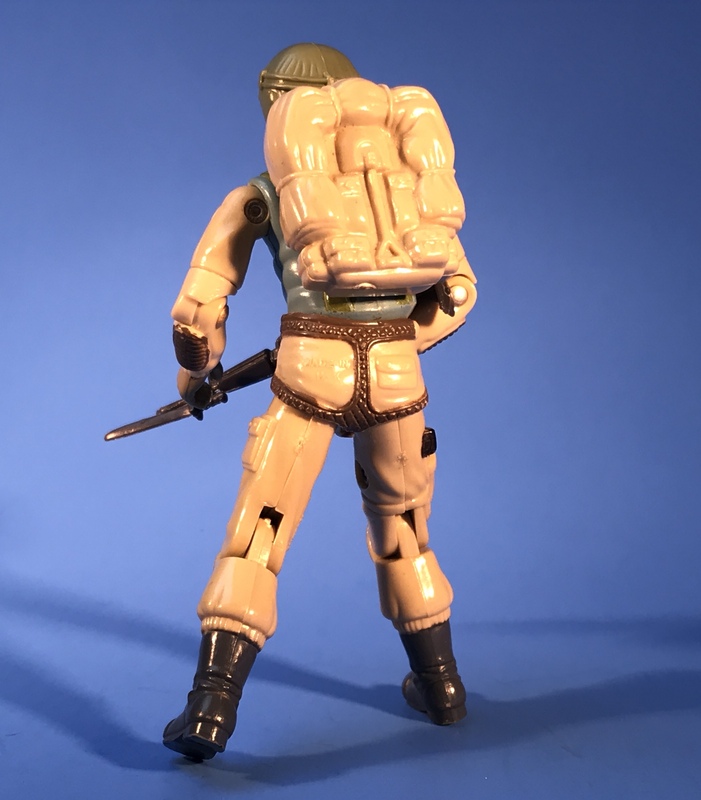 There’s something timeless about the 1983 figures; they’re slimmer, more muted color-wise and accessorized with some of the most unique weapons and equipment in the line. I wouldn’t describe Mr. Talltree’s uniform as plain; he’s instantly recognizable. We throw around the word iconic, but in the case of the 1983 figures, we’re talking about the baseline that was set for individualized uniforms and would continue for decades. When I first saw the 1982 figures’ commercial, I wasn’t too enthused, but by the time the next year’s offerings were in rotation on TV and hanging on the pegs, I was hooked. It was 1983 Cobra Commander and Gung Ho that first pulled me away from Star Wars figures. Airborne and Torpedo joined them in my collection soon after. Sadly, Airborne didn’t get a revisit in the later years of ARAH, although his code name was oddly reassigned to Sky Patrol. 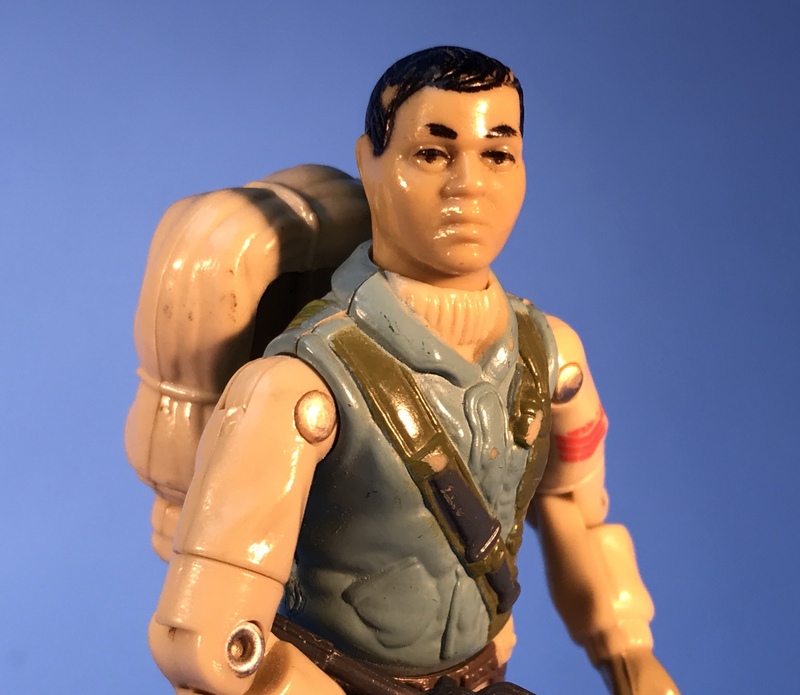 The new sculpt era presented a less battle-ready interpretation that looked more like a skydiver than his predecessor. Maybe the lack of a redesign in the old days was a good thing, kind of like the rock legend who passes and never has a chance to release bad albums. This is the figure that ended Star Wars for me, too. Once I saw the great new accessories and swivel arm battle grip, Star Wars was pretty much dead to me. This was one of the first Joe figures I got my hands on for some “limited play time”. I was only allowed to play with Airborne when my older brother wasn’t around. This was my brothers prize Joe because the head sculpt was coincidentally, the spitting image of him .